If you're like us, you probably first saw minky fabric on a baby blanket. You saw how cuddly the fabric was and how much little fingers loved to grab it and pull it against their chubby cheeks. While you were glad the baby had it, you wanted one too. So did we. We hand pick the fabrics we use, and refuse to use any fabric that will not provide you with the softest, warmest, most durable plush blanket you’ve ever had. Once the fabric is chosen, it is given to our highly skilled seamstresses to create a blanket that has tight stitching that is triple checked, strong satin borders that are tested for durability and an even finished off look that will add a nice touch to any room. 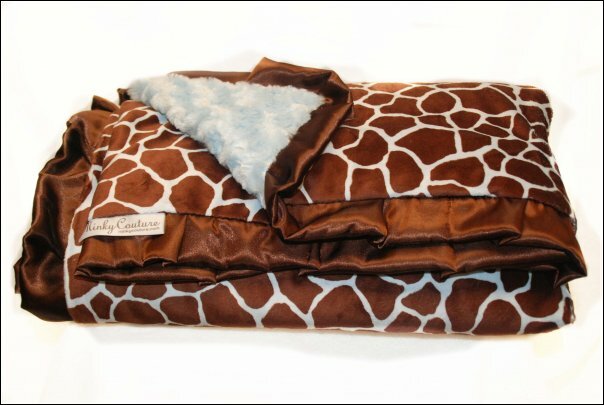 I know that you've probably seen, or at least heard of Minky blankets....those ultra plush blankets most frequently made in sizes to accommodate an infant or toddler. The princess has one that was given to her when she was an infant that she would drag around with her EVERYWHERE ( she stills sleeps with it at night). 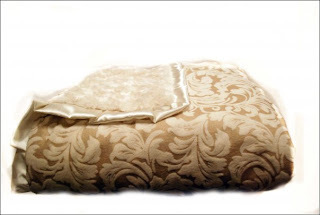 It was so luxurious and soft, and I secretly wished I had one for myself. Well, that's a wish that has come true! 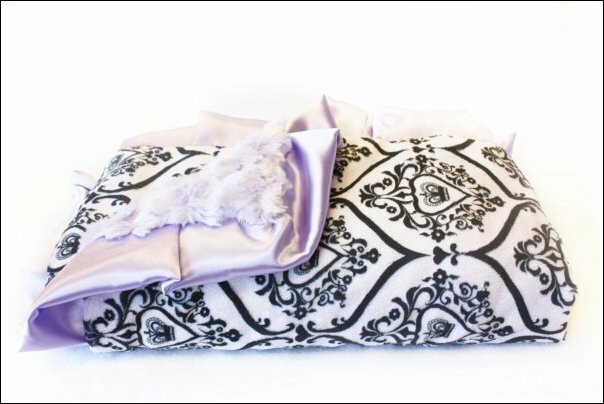 Minky Couture, an online Minky Blanket Boutique carries the most beautiful (incredibly well made and durable) Minky Blankets, in varying sizes (yes, for adults too)! 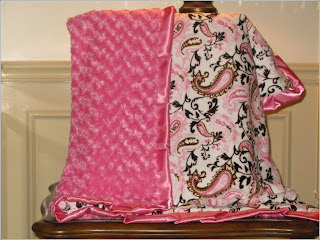 Looking for a blanket to snuggle up with while reading a good book or watching television? The Adult size Minky is perfectly sized for that. Even larger, the "Monster Minky"(60"x72") is large enough for a couple to snuggle! The Adult Minky Blanket (50"x60") that I received arrived quickly and was packaged beautifully. Very similar in color to the Jaclyn Minky (pictured above), it goes very well with the decor throughout our home. I have been keeping the Minky on the chair in my bedroom (perfect to keep warm with while reading and watching television at night). 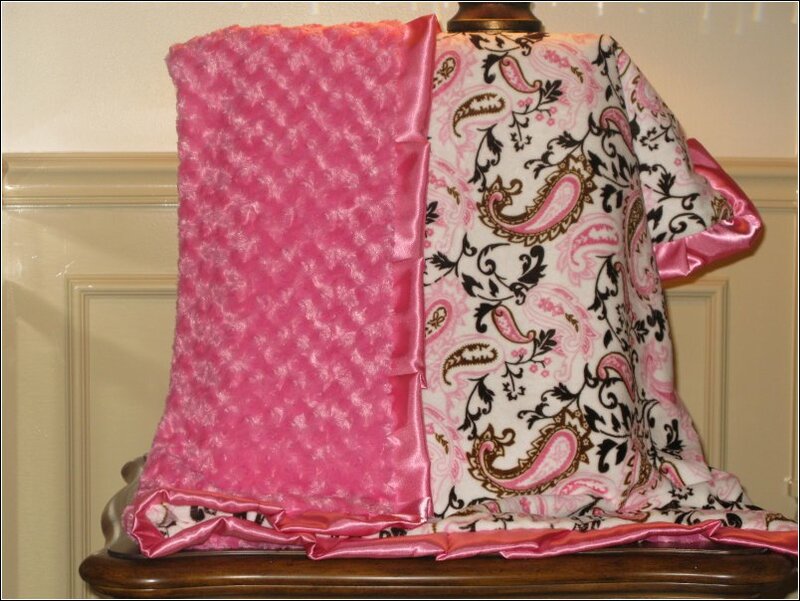 The gorgeous patterns available, impeccable quality, and wide range of sizes set Minky Couture apart from the rest. Wrapping yourself in the Luxury and Comfort of a Minky Couture Blanket is like a little piece of Heaven! 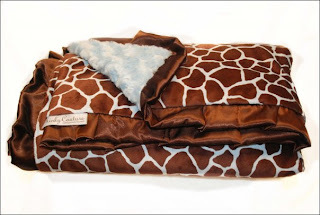 Leave a comment~ Visit http://www.softminkyblankets.com/ and let me know which Minky Blanket you would like to have. The comment is considered your entry. Entry to this giveaway ends at 12pm PST June 4 , 2011. Winner's are chosen randomly through random.org.The winner will be announced in a post within 7 days of the giveaway ending, and contacted through email. The winner will have 48 hrs. to respond or another winner will be chosen. I love the Jake: Blue and brown diamond minky blanket. I would love the Camden: Blue Boxy Minky Blanket one! It makes me sleepy just looking at it! I follow you on twitter as cag89 and I did a RT of the tweet! Thanks! I like the Brecky:Red/Brown/Cream Polka Dot Minky Blanket!! SO many beautiful choices- I think my favorite is BROOKE!